Google recently launched a “buy button” to rival Amazon’s “one-click” feature…but how will it help retailers leverage their products and increase conversions? 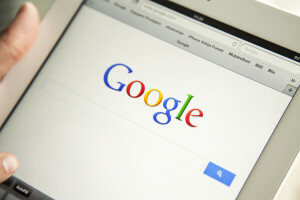 The new feature is called “purchases on Google” and is designed to make the purchasing process easier for mobile users. At the moment, making online purchases using mobile handsets is problematic for consumers as typing in order details and navigating the purchasing process is more difficult than buying an item online with a wider screen. Furthermore, mobile users typically search for items on their mobile, but prefer to visit physical stores to make the purchase. But the Google “buy button” is set to change the way mobile users conduct their shopping methods which could save heaps of time. Once a consumer has made their first purchase, their bank details are stored in Google’s memory bank so that every time they make a purchase after that, the transaction can be carried out in one click. This of course will encourage people to make more digital purchases rather than visiting physical stores. So the benefit for the consumer is clear. But how about the retailer? The principle purpose of the “buy button” is to make online transactions more effective. Speed and convenience are the key factors in Google’s mission to enhance user-experience on mobile. However, although the scheme is only open to retailers using AdWords, it is expected to increase the value of paid advertising. But not only that, managing your AdWords campaign will be easier. All transactions carried out through the Purchase on Google scheme are co-ordinated by Google. This means less admin for retailers who will only be responsible for registering the order and shipping the goods. The cost of the item will be automatically paid into the bank account registered with AdWords. The buy button will also make paid ads more competitive. The general feeling is that ranking in organic results on page one of search engines is a stronger position than paid ads. But if the paid ad offers another benefit to consumers – such as a streamlined purchasing process – it gives retailers using PPC more leverage. Purchasing on Google has its pros and cons, but for retailers already using PPC as part of their digital marketing strategy, the scheme has more benefits than problems.